The state House candidate’s skills and unique expertise are vitally important. When David Tarnas left the Hawaii Legislature in 1998 we lost an effective champion for education and our ocean resources, among many other things. This election, we have an opportunity to return David to the Legislature and benefit substantially from all he has learned in the public and private sectors, in the 20 years since. I know David to be an intelligent, persuasive, ethical, well-grounded, family man with experience and expertise in environmental planning, impact analysis, facilitation, and community organizing and relations. He has displayed these skills while working for both public and private projects including harbor, farm, ranch, fishpond and forestry developments, and renewable energy projects. If re-elected he will be one of the few legislators who has managed a successful small business for decades, and who therefore understands the impacts of governments, big and small, on the very heart of our economy. David has a facile mind that is capable of understanding the broad implications of almost any issue facing our community, and he has the innate ability to persuade other legislators, and the public, to come together for the common good. He is a well-practiced debater, a skilled facilitator, and he knows District 7 (North Kona, South Kohala and North Kohala) extremely well. Personally, I also support David Tarnas, a former UH Sea Grant Extension Agent, and the legislative sponsor of Act 306 that created the West Hawaii Regional Fishery Management Area, because he is an expert on ocean issues. 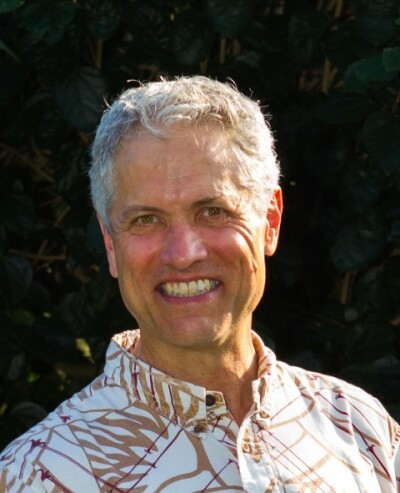 At this time in Hawaii’s history, given the declining health of our ocean, David’s skills and unique expertise are vitally important, and critical to our future as an ocean state. Every campaign season we get tons of emails and commentary from people supporting or opposing particular candidates. Campaign Corner is a forum for healthy — and civil — discussion of candidates and their issues. Endorsements and criticisms are part of a voter’s decision-making process. Here are the ground rules: The column must be written by an identifiable person and accompanied by a head shot and brief bio. The commentary must be original and not published elsewhere. No campaign email blasts. No letter-writing campaigns. Send columns and questions to news@civilbeat.org. 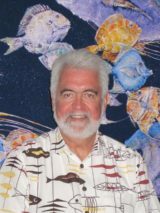 Kona resident Rick Gaffney was born and raised in Hawaii and has worked as an ocean recreation consultant and journalist for over 40 years. He has been a recreational fisherman and diver all his life. He has also served on numerous local, state, federal and international commissions focused on fisheries management and marine protected areas.